One of the great things about living in Europe is that everything is so close– and so connected. I headed to Siena yesterday with my photo class, and it was quite the adventure! Siena is only about an hour and forty minutes away by train, one of the many Tuscan cities that are connected quite easily to Florence. While some might prefer to drive in the countryside, I’m all for grabbing buses and trains whenever possible. And luckily you can get most anywhere on them! I went to Siena the last time I was here in Florence and remembered that I had liked it, so I was looking forward to going back. 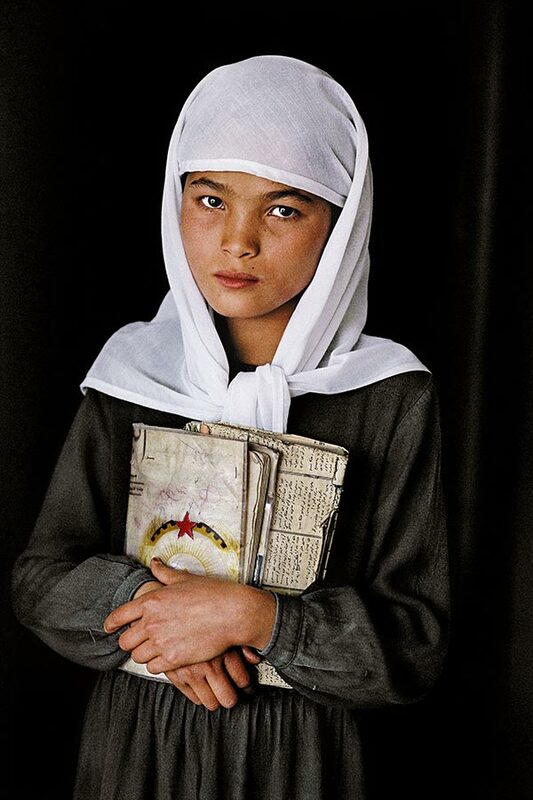 I went with my photo class this time, so we were headed to the old medieval city for a photography exhibition of Steve McCurry’s work; for those of you that don’t recognize the name right off the bat, he shot the worldwide-renowned photo of the Afghan Girl. Click the link to see the Wikipedia page/ image of the photograph. It’s an incredibly powerful photo that captivated the world and really launched McCurry’s fame. I originally saw an exhibition of McCurry’s work the last time I was in Florence when I traveled to Milan to see DaVinci’s Last Supper. Totally a coincidence thing… there was an exhibition and the girl I was traveling with and I decided to go. This time the trip was more intentional. We met up at the train station, got on the train… and there the troubles began! It could have been worse, but what ended up happening was an hour’s delay on the train before they cancelled it. Luckily there was another train just arriving to go to Siena, so we (after a bit of trouble) hopped on that one and traveled to the nearby town. When we got there, there is actually a pretty handy way to get to the main area of Siena without too much trouble, and it involves walking through the (yes, really) shopping mall across the street from the station. I was so surprised! The guards can help you, but you basically keep going up… up escalators, up moving walkways that tilt up (and are unsurprisingly super awkward to walk down) and I have a feeling you save your thighs some hill-climbing by going this route as opposed to straight out the station. Siena is a medieval city and very picturesque. Its main feature is a big piazza that slopes gently downwards where they run a big horse race twice a year that I’m determined to experience in 2014. There is a lot of great, well-known (within the art history world, at least) artwork in the city, both in Santa Maria della Scale, where the exhibition was actually held, and in the Duomo itself, which is what I went for the last time I was in the city.When we arrived in the main area we broke for lunch and my roommate Ali and I grabbed a piece of pizza and went and sat in front of the Duomo for a bit and then explored. Siena is pretty small, and very well touristed! I definitely want to go back when I am not on a timetable to wander off the beaten track a little more. Next summer, perhaps. Train tickets are super cheap from Florence. But anyway, after lunch we met up to see the exhibit. Steve McCurry is an incredibly talented photojournalist and has taken photos of everything from individuals, like the Afghan Girl, to photos of war torn countries and major events like the Japanese tsunami and 9/11. The exhibit was arranged in four parts, and was a mix of his work in many different countries over the years, like a retrospective. I enjoyed the exhibit… it was very similar, if not the same, to the one I saw in Milan three years prior. I enjoy McCurry’s work, although his portraits are my favorites. Were I to see an exhibit of his work again, something I would love is to see an extensive selection of works from one of his trips. When McCurry travels he often spends months in a certain place, but perhaps only one photo from all of those months would be in this particular exhibition. So I would love to see an exhibition of works from one time period, to really get a sense of his whole collection of photographs. There’s something so powerful about seeing his photographs in person, rather than just on a computer screen. If you have the chance, I encourage you to go to a McCurry exhibition. For anyone with a love of the world, it’s impossible not to be moved by his use of color and his inexplicable ability to connect with the local people and create stunning and moving portraits. I actually have to write a paper about two of the photographs I saw: see the two I picked here and here. I picked these two portraits because to me they represented two completely different attitudes; one child is dressed like Superman, a look of childlike innocence and hope on his face. The other seems to have lost that hope; the expression on her face questions why this photographer is focusing on her. She has lost that innocence, that belief that someone will save her. After the exhibit we hurried back through the rain to the train station and headed back to Florence. This week is a busy one at school/ work for me and I’ll be attempting in some ways to conquer Italian bureaucracy. Wish me luck! I’ll be back soon.